Driving along the coast from Woods Hole to Falmouth, Massachusetts, we can across an amazing field with 1,000’s of yellow and orange lilies. It was absolutely breath taking. Pilot Falcon fountain pen with Noodler’s Bulletproof black in and Holbein watercolors in a Stillman and Birn sketchbook. 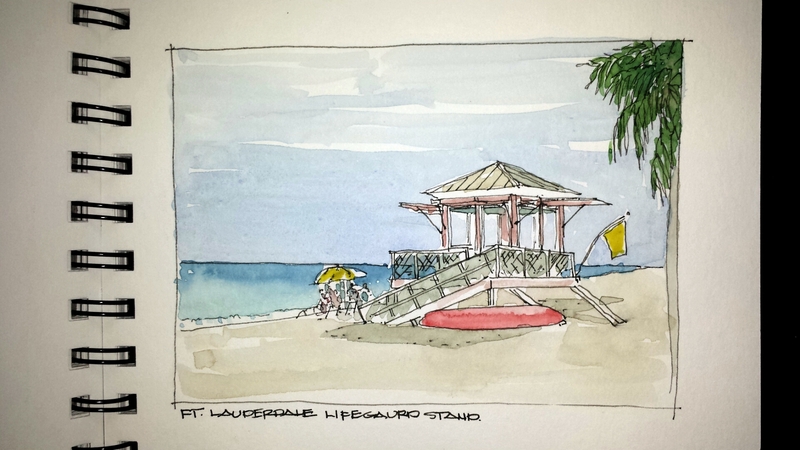 A Ft. Lauderdale Lifeguard Stand off the turquoise blue water of South Florida. Lamy fountain pen, Noodlers Ink, Peliken watercolors in a Stillman and Birn Beta Sketchbook. A quick business trip out of cold grey New England into the vibrant greens and blues of South Florida. 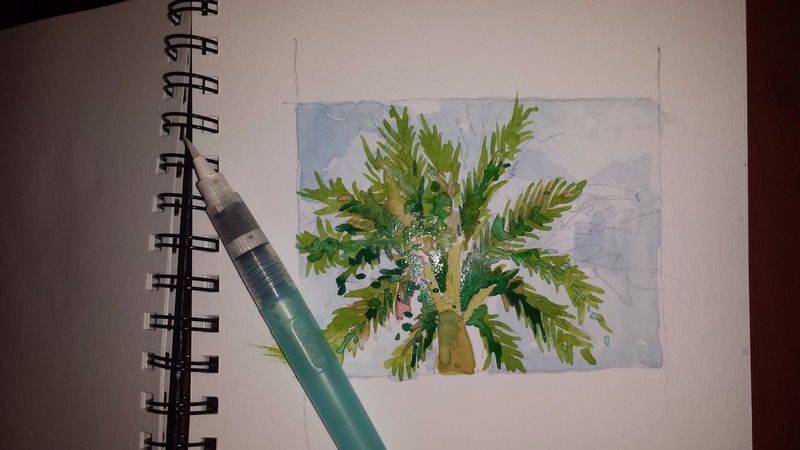 Midnight watercolor of a Palm tree at Boca Woods Country Club. Pelican Watercolorist in a Stillman and Birn sketchbook. Just a quick Monday Black and White sketch of a local Surf and Stand-up Paddleboard shop located in Mashpee Commons. Lamy Fountain Pen, Noodlers Ink in a Canson Sketchbook. 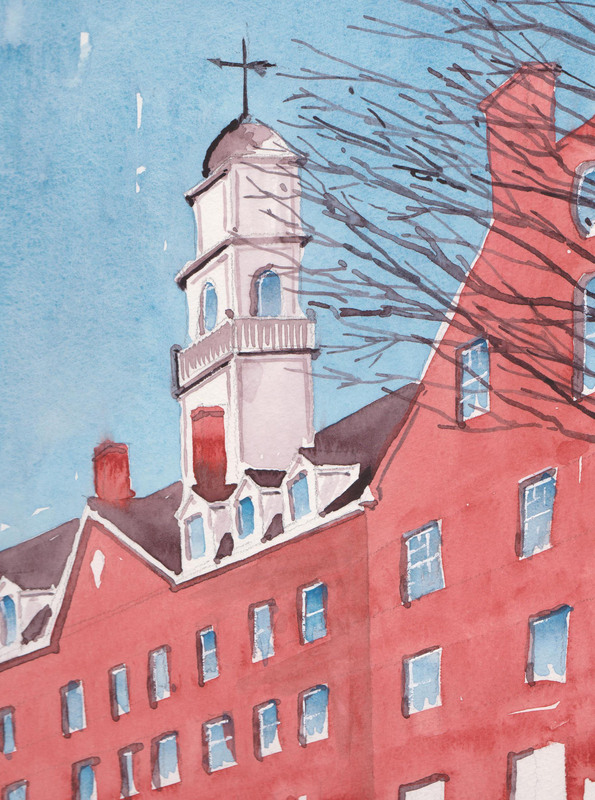 Everett Hall on the campus of Wheaton College on Norton, MA. This is a quick watercolor that was done from a photo taken on site. 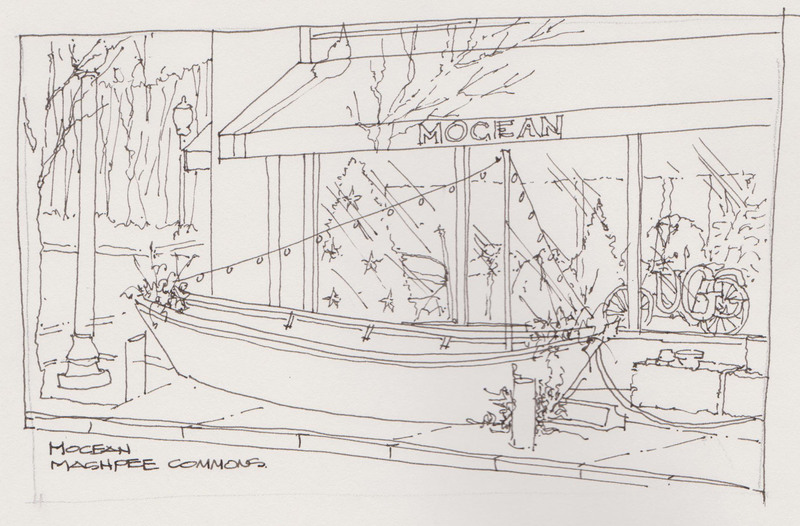 I could not sketch plein air in that I was on a one way street and the view was behind me. Daniel Smith Watercolors on 140# Fluid Watercolor Paper. This time of year sketching can be very challenging. At 22 degrees, it is the highest priority to find a vantage point from the warmth of car or building. 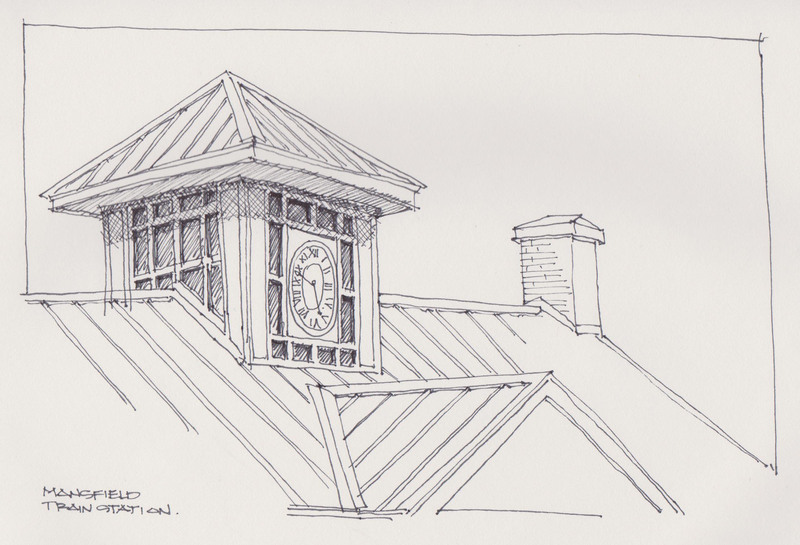 This is a quick sketch done of the roof features of the Train Station in Mansfield, MA. Prismacolor art pens in a Canson Sketchbook.